Thanks to everyone who helped make the 2018 Taste of Montclair a success! We look forward to awarding the proceeds of the event to the Montclair organizations that fight hunger in our community. If you are interested in participating next year, please let us know. 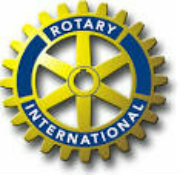 The Montclair Rotary Club serves the communities of Montclair and Verona, New Jersey. Our members make significant contributions to the community through their unique skills, talents, expertise and interests. Annual fundraisers, including the Taste of Montclair, enable the Montclair Rotary Club to offer charitable assistance to organizations in need and to perform numerous service projects that enhance the quality of life in the Montclair area. In its leadership role as a service organization, the Montclair Rotary Club extends membership to people who voluntarily and willingly dedicate themselves to the ideals of Rotary International, and a commitment to "Service Above Self". The Montclair Rotary Club is focused on helping those within our communities as well as supporting projects that are global in scope. If you are a person who recognizes that giving is more rewarding than receiving, then you already have the Rotary spirit! Contact us at montclairrotaryclub@gmail.com or at P.O. Box 1746, Montclair NJ 07042 to learn how you can apply for membership. Have questions? Want to leave a comment? Would you like to join us, but you're concerned about the time commitment or having to attend weekly meetings - especially at noon time? We've heard your concerns. We are now able to welcome you as a Friend of Rotary. As a Friend of Rotary, you can actively participate in any of our activities, including out community outreach programs and events. Want to find out more? If you reply to this post, we promise to contact you directly to tell you how to sign up. There is no cost and your involvement can be as much or as little as you prefer. Here's your opportunity for service to the community and to make new friends.